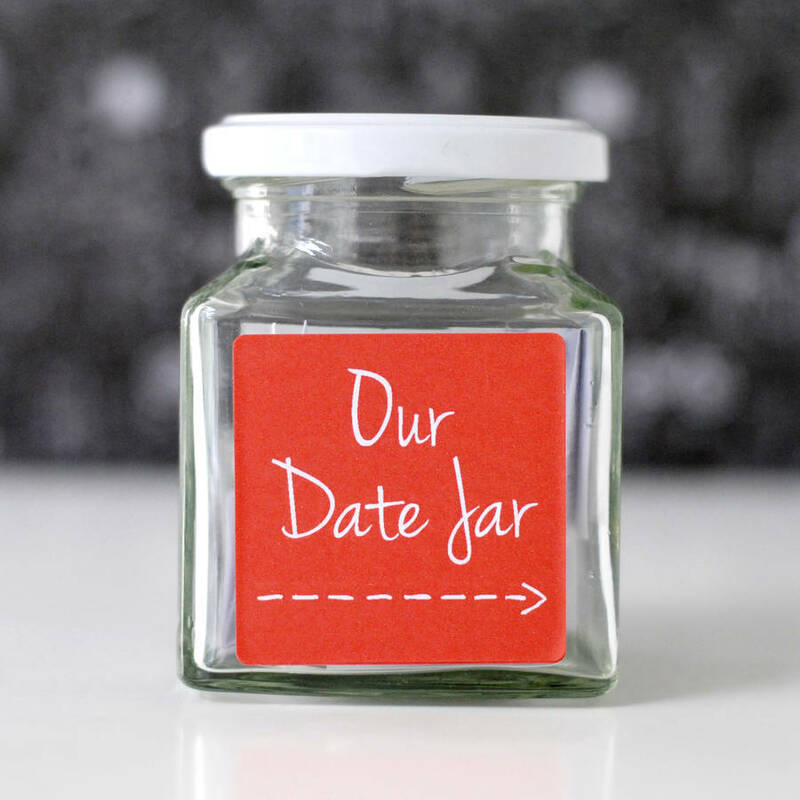 Spend quality time and have fun with your partner with the help of your own Date Jar. 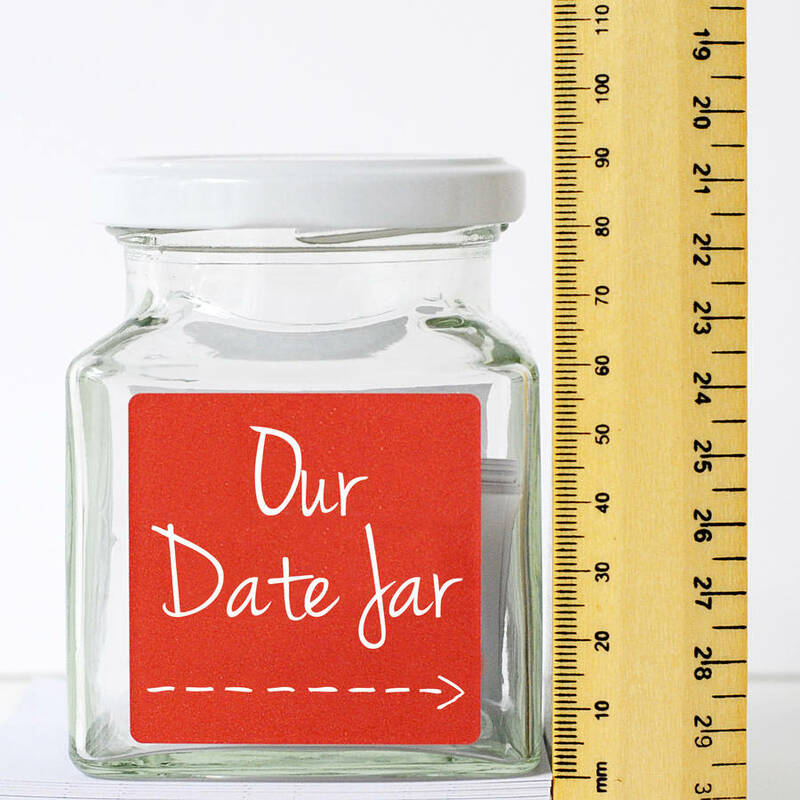 Buy a Date Jar for yourselves or give as a fun Valentine's, birthday, wedding or anniversary gift. 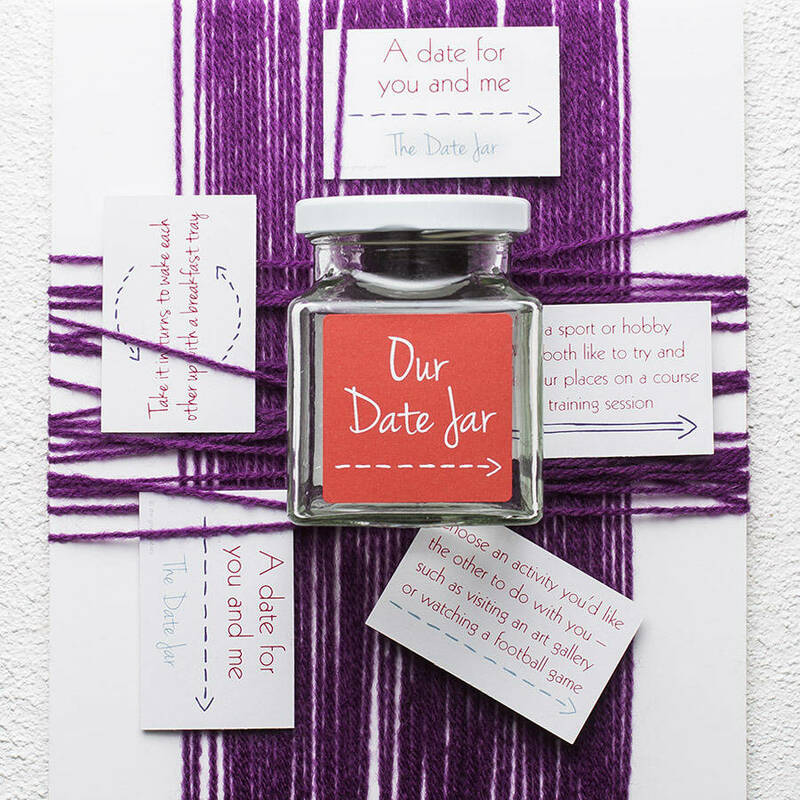 The Date Jar is sent by Royal Mail First Class post, this is not a trackable service. 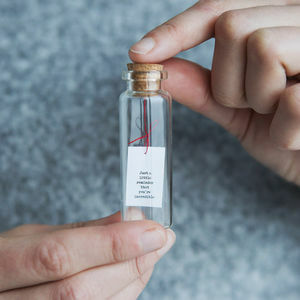 The parcel will not fit through a standard letterbox so if you aren't in to take delivery from your postie they could leave it with a neighbour or take it back to the delivery office. 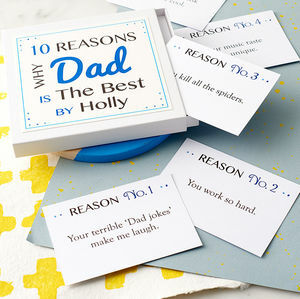 They should leave a card to let you know. 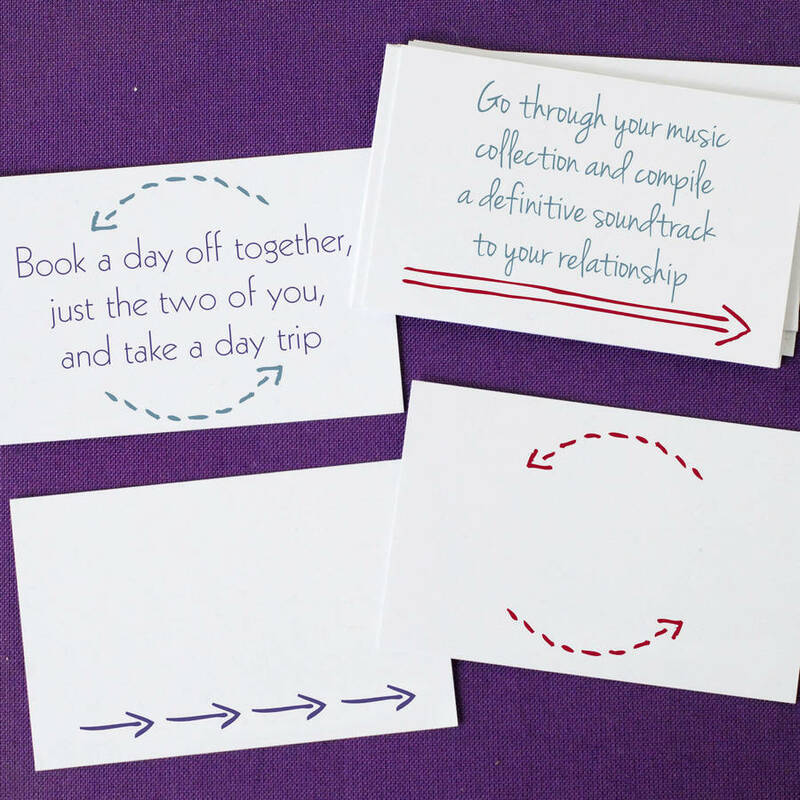 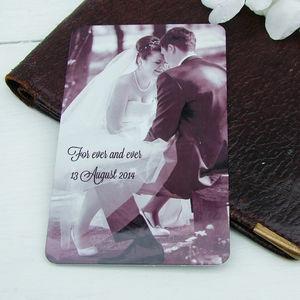 The date suggestions are printed on 100% recycled 190gsm card. 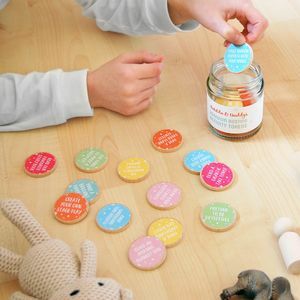 The glass jar has a white metal lid. 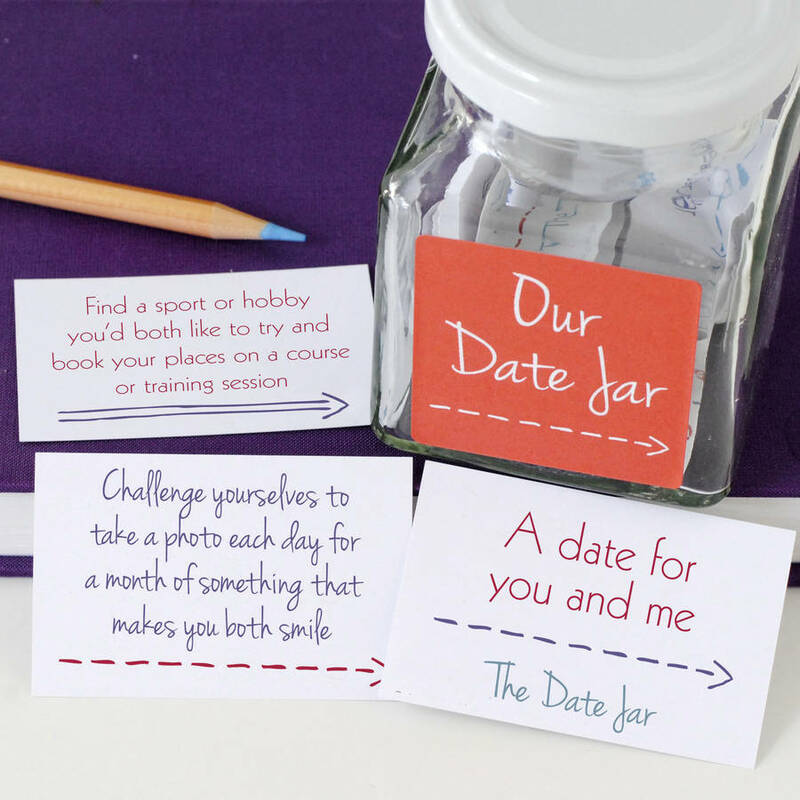 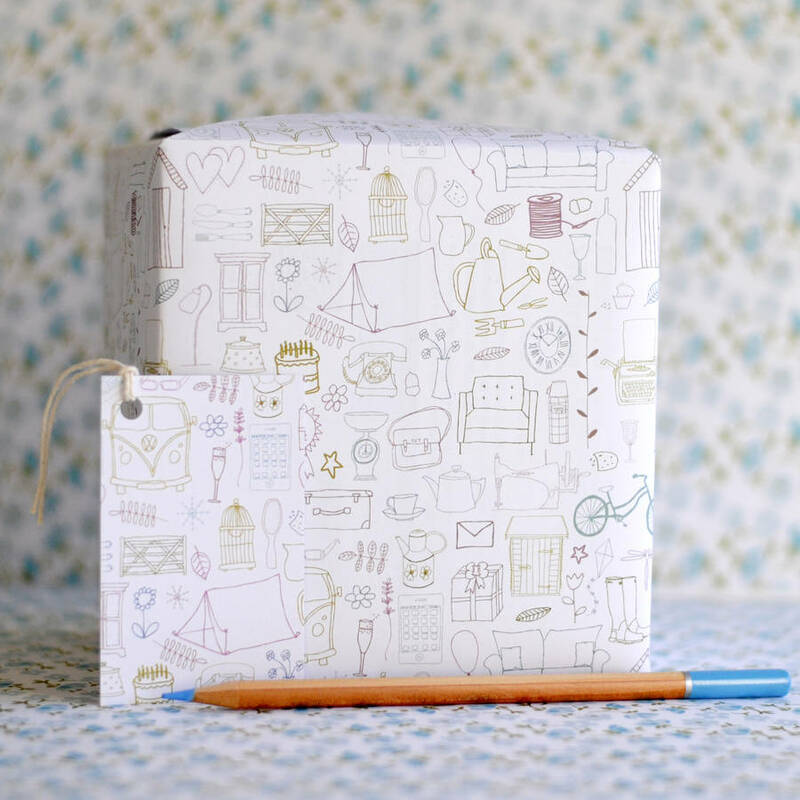 Your date jar will arrive safely packaged in a sturdy cardboard box. The jar measures 9x7x7cm, the postal box it is packaged in measures 10x15x11cm.